LOOKING FOR THE BEST CAR? THEN THIS BEAUTY IS FOR YOU! It's been regularly serviced to the manufacturers specifications with full service logbook history. It has been very well maintained and in excellent condition inside and out. 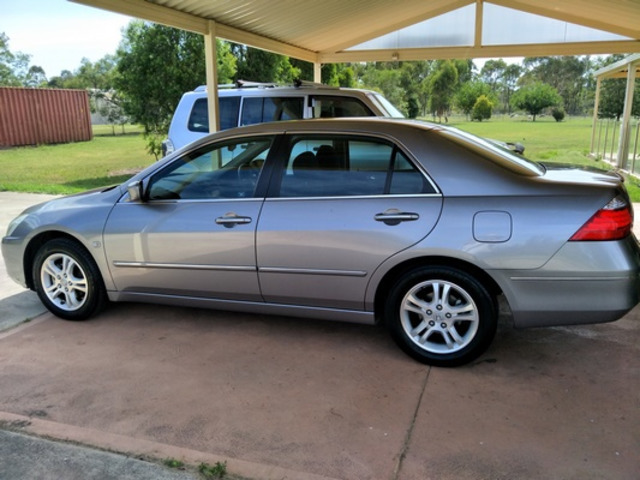 Take your family anywhere in this 2006 Honda Accord. Always garaged and looked after. Lady owner since new. Selling due to upgrade. You will be glad to know it has never been in any accidents!. This Honda Accord Sedan has front & rear power windows, power steering, 16" alloy wheels and cruise control. Automatic temperature control featuring both front and rear air conditioning. 4 airbags to protect you and your family. Vehicle registration has been paid until Jul 2018. Roadworthy certificate included so you don't have the headaches of getting one yourself.